This revised and updated edition of a beloved sewer's bible includes hundreds of new illustrations along with new material on techniques. 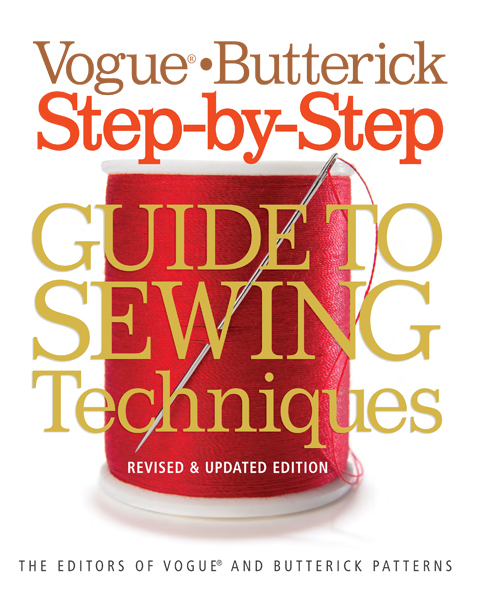 In the revised and updated edition of Vogue/Butterick Step-by-Step Guide to Sewing Techniques almost 500 of the most fundamental and frequently used dressmaking procedures appear, complemented by easy-to-follow illustrations. The broad categories are arranged alphabetically, from Appliqué to Zippers, and each offers a wealth of sewing choices. Look under Pockets, for example, and you'll find Mock Flap, Mock Welt, Patch, Side Seam, Side Slant, and Welt pockets. Now more than ever, this essential reference belongs within easy reach of your sewing machine!